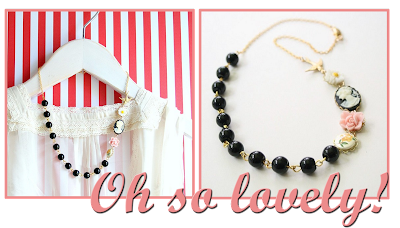 Lovelies, don't you simply adore this necklace from Nest Pretty Things? 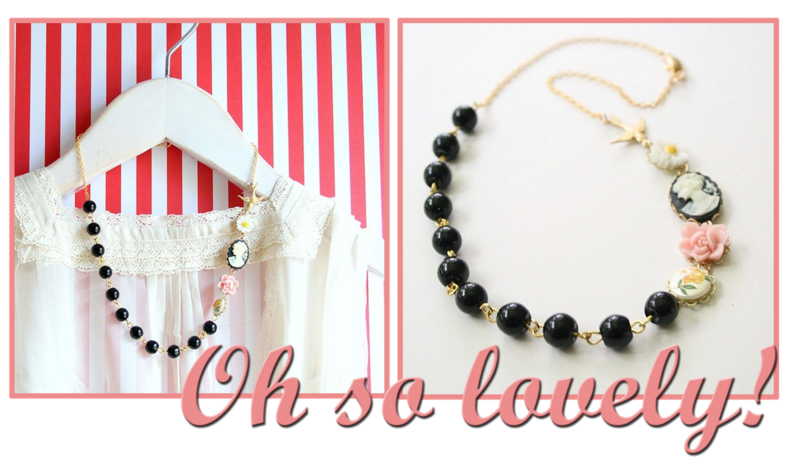 This necklace, The Marilyn, is "16" length, made with a rare striking super high quality vintage black glass bead chain that connects to a gold plated chain, the charms and cameos include a black and cream bust cameo, a blush rose, a little vintage yellow rose cameo, a vintage daisy and little gold toned brass flying bird charm." I love the idea of wearing this either to a wedding as a guest, or the bride. It is so charming, and truly encompasses the concept of loveliness. What you you wear this necklace with? A dress and boots? A summer dress and cardigan? Do share!